I’m often asked by brokerages to help consult and coach their management teams to improve performance—and predominantly the sales managers’. A high-performing manager increases revenue and marketshare, recruits, creates adoption of core services affiliates, and successfully retains their agents and builds culture. Here are the common characteristics you can emulate to be on top of your sales management game for high performance and wildly successful results. Take ownership. As the leader of your office, it is important that you take ownership of your office—not only taking responsibility, but owning everything that happens, good and bad. Things are going to happen, and how you handle them says so much about you. A quick admission of a mistake shows humility and teaches your team to also take ownership of their work. When you jump in to take ownership of a situation, and then solve the problem for an agent or client, you are in that very moment exhibiting leadership—even if you didn’t cause the issue. It’s really a great way to diffuse situations, create solutions, serve and help lead your organization or team to success. Know your numbers—relentlessly. As the sales manager, you must know your numbers, and know them every day. How many sales do you bring in daily? How much revenue is coming in as new written business? How much revenue has closed? Where are you month-to-date, year-to-date or year-over-year? Know your breakeven number, or what it takes monthly to run your operation, so you know down to the day when you’re profitable. Knowing your numbers and focusing on them can help you improve, because tracking and reporting them will help you implement and execute plans to increase them. Knowing your agents’ numbers is also important—they feel so amazing when you know their numbers better than they do. In sales, your numbers are your pulse. Top-performing sales managers are obsessed with their numbers, and you should be, too, if you want to grow. Know your agents personally and professionally. Building relationships on trust and confidence makes managers successful. They know that their relationships are the key to long-term retention and partnership with their agents. Personally and professionally knowing your agents fosters a special relationship with them that they don’t have with anyone else. You are their coach, their confidant, their rock. You help them through tough times and celebrate with them during the great times. Continuing to build on the relationship year after year is key to continued success. Top-performing managers continually foster relationships with all of their agents to keep them mutually beneficial and real. Relationships are the key to retention and culture. Add tremendous value. Top-performing sales managers are constantly adding value to their agents and consumers. When you are adding value, you become invaluable. Agents need coaching, training, information, guidance and direction. If you show your agents how they can use your tools to make more money and grow their business, you will be adding value to the relationship. When you help them use marketing tools to generate more listings and close more sales, you are adding value. So, go add tremendous value to your agents every day. Drive listings and sales with energy and momentum. Top-performing sales managers know that their No. 1 job is to drive listings and sales from their team. Every sales agent needs and thrives on positive energy, momentum, motivation and inspiration. Challenge your team to do more than last month. Remind them where they can go make a difference and grow their business. Consistently ask for monthly forecasts from your team and hold weekly sales meeting to help drive listings and sales activity in your offices. Recruiting is a priority. Top-performing sales managers are always growing their office and team with more agents. Whether new or experienced, they are always recruiting new blood to their operations. With new recruits comes an increase of company dollar, increased marketshare, increased profits, and so much more. Keeping recruiting a priority means you are actually growing your office in net gain of company dollar and with more people. Top managers recruit on purpose, with a plan. You can make a significant difference to your bottom line by making recruiting a priority. Overcommunicate. Strong and effective sales managers overcommunicate their information to their teams. In today’s environment, information must be given to a person seven different ways, seven different times. Top managers keep their sales agents informed of what’s going on with the company, the marketplace and the community. Make it a point to use face-to-face, MBWA (management by walking around) and MBO (management by objectives) to attain the trust and confidence of your team. They will more than appreciate your timely communications of what’s going on when they hear it from their leader—you. Be proactive and solve issues. Make sure you address situations and resolve conflict. Effective managers have a track record of solving issues quickly, so they don’t fester and create an undercurrent of toxic behavior. Resolving issues between agents or offices makes you a leader that is fair, trusted and respected. Bringing people together to help them resolve their differences is part of your job as the manager/leader. Make sure you build trust and remain fair to hear all three sides of a story when resolving issues, whether between agents or between a client and an agent. Being proactive and not reactive creates a positive environment of mutual respect and teamwork in your office or organization. Be magnetic and a leader people will follow. When you’re magnetic, people are attracted to you and your energy and want to follow you. Top-performing sales managers lead their teams and create environments that people thrive in. You will attract people to you when you are leading them to success and providing value, tools, coaching and support. Be the leader that people want to follow for success. Remember, top-performing managers bring out the best in their teams, and provide the environment for top-performing agents to thrive and grow. 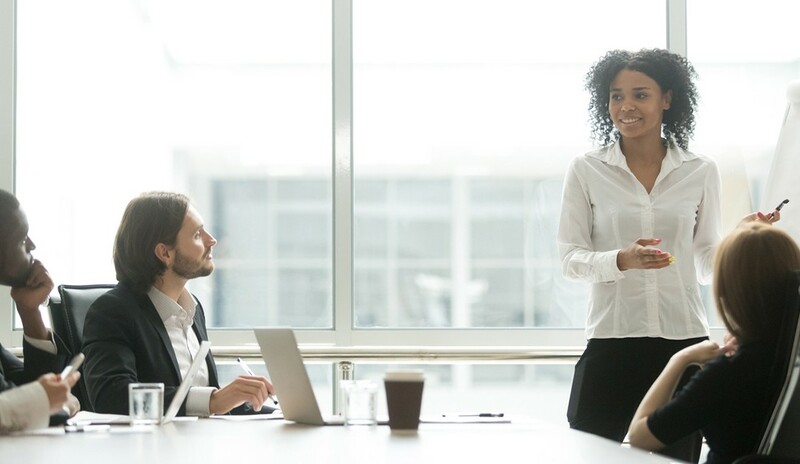 By adopting these characteristics and examples, you can dramatically increase your effectiveness as a sales manager leading top-producing agents in a successful environment. Create the momentum, drive listings and sales and build a culture where people want to be a part of your winning team! For a FREE copy of my exclusive LeadershipPRO® Culture Assessment Worksheet to help keep you performing at the highest level as a manager, email yourock@sherrijohnson.com.